More portfolio work today, with my deadline on Tuesday looming. Finally got it nearly finished, minus a few projects I missed out by accident! Focusing more photography in this new version, and I think it works so much better. Will upload the full thing on my main blog when I’m happy with it! But for now, two photos of my work from today. 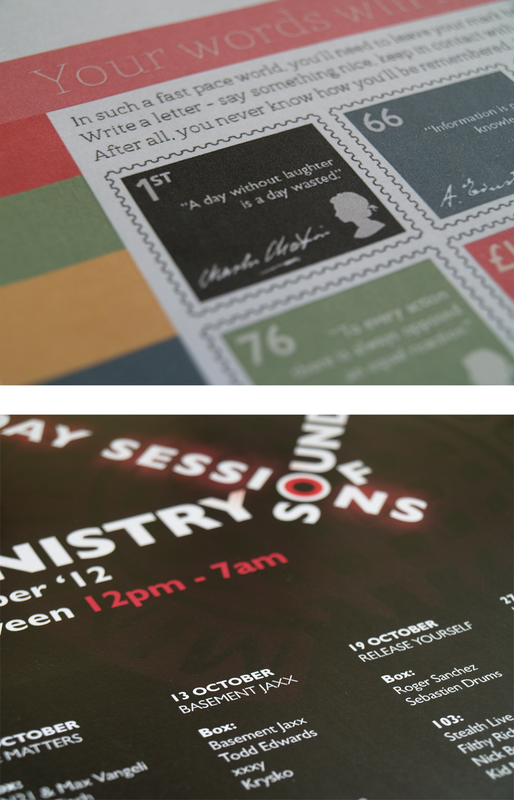 The top is a stamp set from the RSA competition, and the bottom image is from the MOS Saturday Sessions brief.